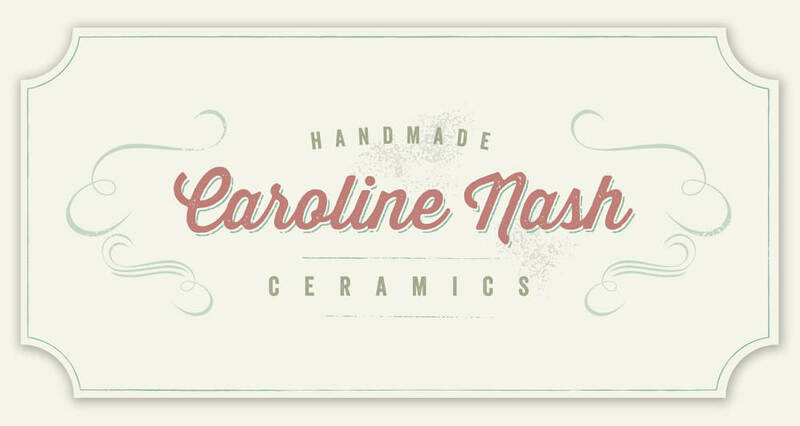 Caroline Nash is a ceramic designer based in Cumbria, who hand-makes a large range of ceramic products for the home and garden. To design a logotype and over-arching brand for the ceramics business, and then a new eCommerce website, all with a handcrafted/vintage style. The logotype developed uses vintage style fonts along with decorative elements and has a slightly worn feel. In the design process I drew particular inspiration from the typography that features on old enamel signage. A 'makers mark' was also required - the smaller CN logo pictured below - designed to complement the main logo, which is now used on the underside of all ceramic items Caroline (often known as Cazz) makes. As well as the typographic style and colour palette, an approach for additional iconography was also developed to include imagery such as a bird, heart, watering can and wheel-barrow - these tie in with the themes that run through Cazz's work, and would be utilised in the website design.